In early 90’s people used to manage every piece of information in a piece of paper which used to require a lot of time and money to maintain them. But now everything is possible on fingers with few seconds. There are so many School App and School management software which can make your work a lot easier and reduce a lot of work pressure. 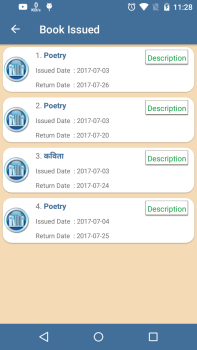 Here it is one useful school mobile app with all the features required for school management system. Device Independant-You can manage all the database of school from anywhere at anytime. It is not device dependant as it works on cloud-based system. Social Connectivity-You can provide school location and all social connectivity information to users in app. Customizable Dashboard- Admin can customize dashboard for its teachers, parents and student by providing permission for various features. It can also change an app color according to the logo of school. Communication-Being an owner of a school you would be aware of a large number of queries from parents. So this school app was developed for better communication with easy to use tools for both parents and students. 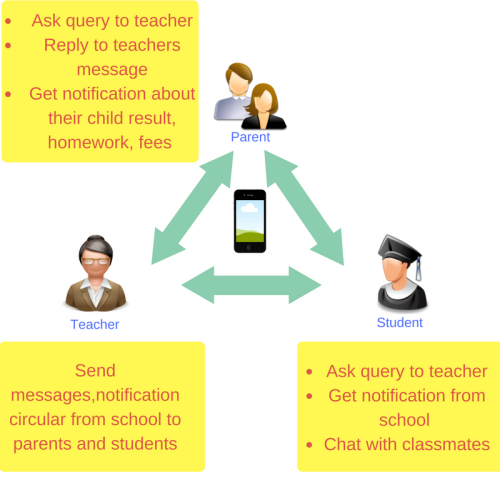 Notification- Schools can easily send a notification to every individual in a mere click from anywhere and anytime. This notification would be available on individual mobile as well as it is displayed on the school login page. This makes an easy and quick connection with the busy parents and even assure them with the security of their child. 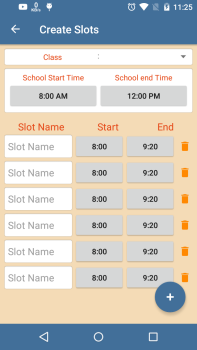 Thus this zeroerp school app will help in bringing a huge change in your school management system with increased speed of work along with monetary saving. In spite of the fact that school management software is about administration, yet it can make it easy to communicate with the parents, guardians, students. 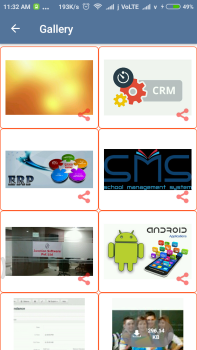 This is all possible with the help of school app which is a part of school management software. Today security of a student is the main concern for all the school. 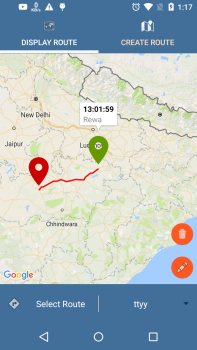 So GPS tracking in a bus is must and should be monitored to be on safer side. For the security of students , school should track their vehicles .This is possible in this software which can be accessed through both web and app.This feature gives assurance to both school administration and parents. This is a multilingual software which can be easily run for a Local Language. It supports English,Hindi, Urdu,Spanish, Arabic and further are being added. As it does not make a person to be dependent on particular language. it makes software easy and reachable for user. 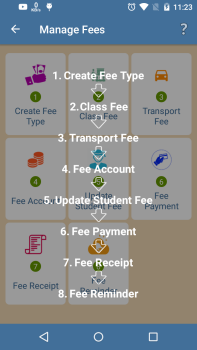 Fee Management for school can be easily done from an android app. It will be feasible for an accountant to retrieve data any time from their device even if they are not at a workplace. This increases productivity in work and reduces delay in management. All information about fee . All information about fees is provided to parents through an instant messaging system. So there is record present with student ,parent and school for minimal mistake. How to use it in App? 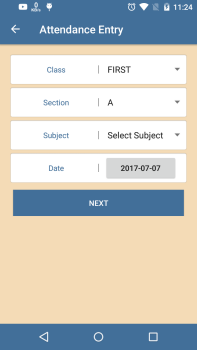 How to use it in Android app for student? How to use it in Android app for staff? A timetable is an important module in school to maintain discipline and regulation.It provides an overall information about the flow of lectures in school. It can be also be managed through and will be viewable to a user in their mobile which will be very convenient for everyone. 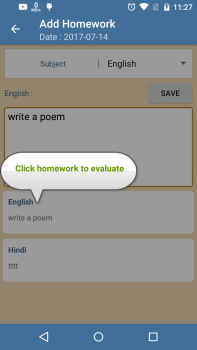 How to use it in Android App for Teacher? How to use it in Android App for Parent?